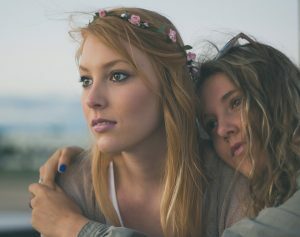 Until now, little research has been carried out into the role friends and, in particular, best friends play in building resilience to adversity – surviving and thriving in the face of difficult times. The new preliminary study, by Dr Rebecca Graber, University of Brighton Senior Lecturer in Psychology, for the first time provides long-term statistical evidence of the enormous benefit these valued social relationships have on adults’ resilience. Dr Graber, who carried out the research whilst at the University of Leeds, recruited 185 adults through online social networking sites, university events and community organisations supporting socially-isolated adults. Some 75 adults completed the questionnaire. Participants completed assessments on psychological resilience, best friendship quality, coping behaviours and self-esteem. Participants then completed the same assessments one year later, to see how best friendship quality had impacted resilience processes over this period. These findings support previous research by Dr Graber, published last year, revealing that best friends facilitate resilience processes in socio-economically vulnerable children. Dr Graber, from the University of Brighton’s Social Science Policy and Research Centre, presented a paper ‘Do best friends promote psychological resilience in adults?’ at the British Psychological Society Annual Conference last month at the University of Brighton. Find out more about on Dr Graber’s research into friendships and resilience or if you are thinking of whether a fascinating career in psychology, have a look at school, our courses and what we have to offer. Tagged BPS, British Psychological Society, British Psychological Society Annual Conference, Dr Rebecca Graber, friendship, friendships of socio-economically vulnerable children, Psychological resilience, resilience, Social Science Policy and Research Centre. Bookmark the permalink.